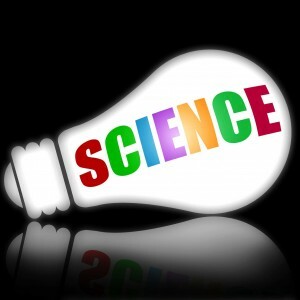 This week is British Science Week! It’s an annual event promoting science, technology, engineering and maths across the UK, and this year runs from the 9th to the 18th March. Specific events are taking place all around the country and you can find them all here. There aren’t too many happening in Devon – something we’ll have to think about for next year! We’d like to highlight the Family Fun Day happening next Saturday, 17th March, at the Norman Lockyer Observatory in Sidmouth. It is a great venue that we know well as Sam gave an Earth observation lecture there last year. On Saturday they will have hands-on activities, planetarium shows, solar and meteor observing amongst other things. This is our favourite activity this year as it’s remote sensing based! Its aim is to develop an automated classification algorithm to detect, identify and monitor marine litter from drone images. Go onto the website, look at the images that appear and tag any marine litter that you see – it’s as easy as that! There are some guides and help from the team at Zooniverse who are developing the algorithm. I did my first fifteen minutes in the middle of writing this blog! Everyone knows the problems of plastics in the oceans and the negative impact they have on pollution, wildlife and the food chain. This project is a fun and simple way for anyone to help clean our oceans and beaches. It is hoped that 250,000 images will be tagged during this week. Why don’t you contribute a few? Run to the Deep is a free app which will accompany you whilst you run 10 000 metres to the ocean floor. It includes commentary from Pierre-Yves Cousteau, son of the marine conservationist Jacques Cousteau, and provides information about creatures, seascapes and things you’ll find deep in the ocean. Schools are encouraged to get children designing posters on the theme of exploration and discovery, and enter the best ones into the national competition. There are downloadable activity packs available from the website for a variety of ages providing lots of exercises and activities promoting science, technology, engineering and maths. British Science Week is run by the British Science Association (BSA) with funding from UK Government’s Department for Business, Energy and Industrial Strategy. The origins of the BSA are fascinating, and have technology roots! In 1830 Professor Charles Babbage, one of the pioneers of computing, published ‘Reflections on the Decline of Science in England.’ It’s a fascinating read and one of the actions taken in response to this was the founding of the BSA in 1831, although at the time it was called the British Association for the Advancement of Science. Appropriately, also taking place this week in Sheffield is the 2018 Wavelength Conference, the student and early career scientist conference of the Remote Sensing and Photogrammetry Society. Pixalytics sponsored this event and we hope to have a review of the conference in next week’s blog. So whatever you are doing this week, try to include some science! This entry was posted in Citizen Science, Data, Earth Observation, Education, Oceans, Remote Sensing and tagged algorithm, British Science Association, British Science Week, Charles Babbage, classification, Cousteau, Earth Observation, Machine Learning, marine litter, Norman Lockyer Observatory, oceans, plastics, Reflections on the Decline of Science in England, remote sensing, Run to the Deep, running, science, Sidmouth, Wavelength, Zooniverse by Andy. Bookmark the permalink.